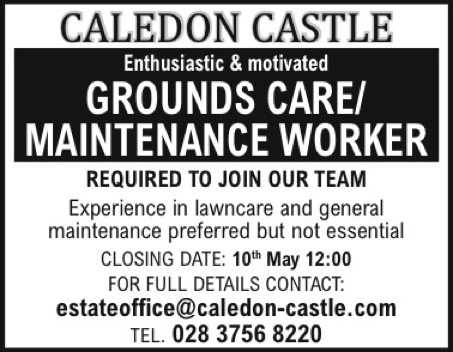 experienced car valet required for busy car yard . 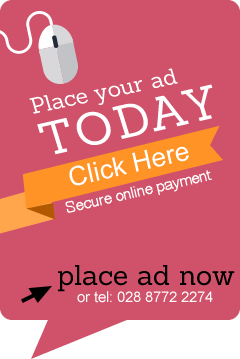 Full valets on cars for sale , Mini valets on sold cars and general upkeep of the cars on site. 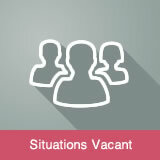 At least 2 years experience and a full driving licence are essential . 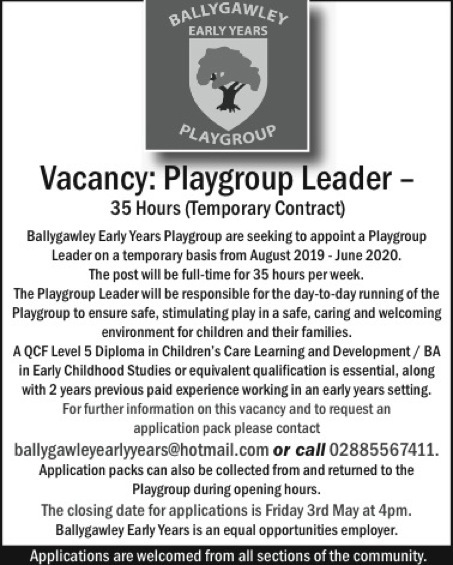 Vacancy: Playgroup Leader – 35 Hours (Temporary Contract) Ballygawley Early Years Playgroup are seeking to appoint a Playgroup Leader on a temporary basis from August 2019 - June 2020. The post will be full-time for 35 hours per week. The Playgroup Leader will be responsible for the day-to-day running of the Playgroup to ensure safe, stimulating play in a safe, caring and welcoming environment for children and their families. A QCF Level 5 Diploma in Children’s Care Learning and Development / BA in Early Childhood Studies or equivalent qualification is essential, along with 2 years previous paid experience working in an early years setting. 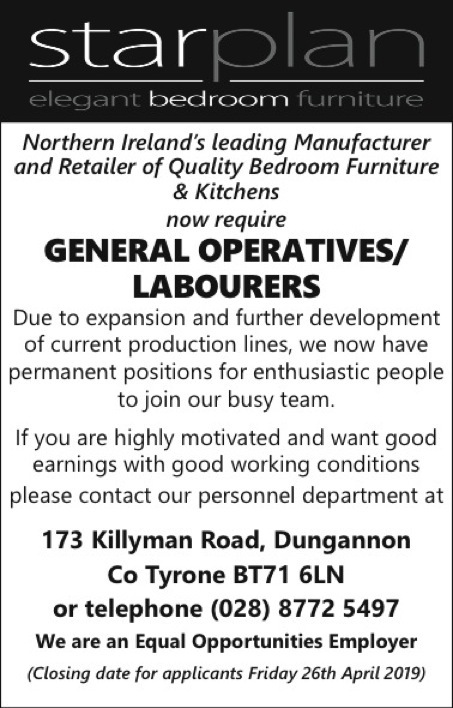 For further information on this vacancy and to request an application pack please contact ballygawleyearlyyears@hotmail.com or call 02885567411. 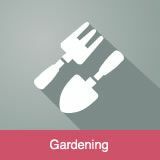 Application packs can also be collected from and returned to the Playgroup during opening hours. 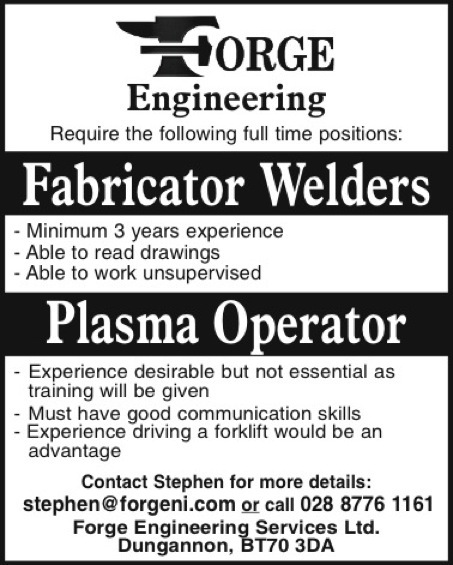 The closing date for applications is Friday 3rd May at 4pm. 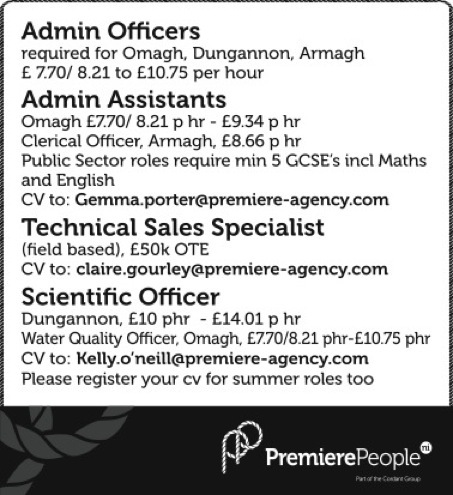 Ballygawley Early Years is an equal opportunities employer. 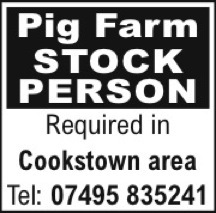 Applications are welcomed from all sections of the community. 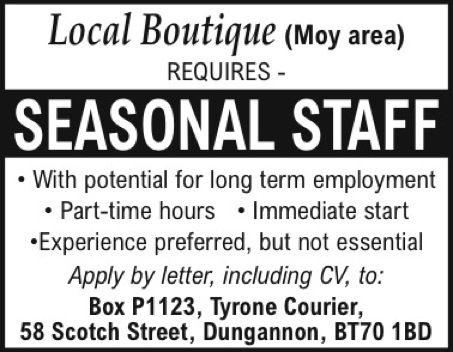 Job Opportunities Catering Assistant (Fixed Term Contract) Navan Centre and Fort Casual Cleaner Various locations An Application Form and Information Pack can be obtained as follows: Online: armaghbanbridgecraigavon.gov.uk Telephone: Armagh (028) 3752 9605 Closing date for applications is Friday 3rd May 2019 @ 4.00pm. 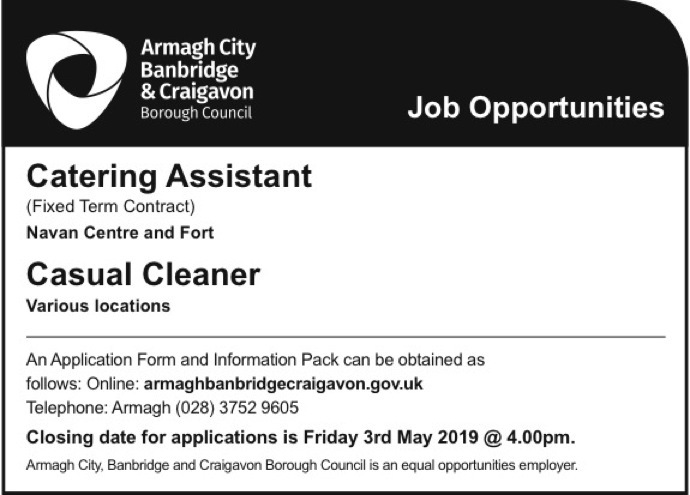 Armagh City, Banbridge and Craigavon Borough Council is an equal opportunities employer.